WASHINGTON December 7, 2015 — The Defense Department has confirmed the deaths of senior terrorist leaders in Libya and Somalia from recent U.S. airstrikes, Pentagon Press Secretary Peter Cook said in a statement today. Cook said a Nov. 13 U.S. airstrike in Libya killed Iraqi national Abu Nabil, also known as Wissam Najm Abd Zayd al Zubaydi, a longtime al-Qaida operative and senior Libyan Islamic State of Iraq and the Levant leader. 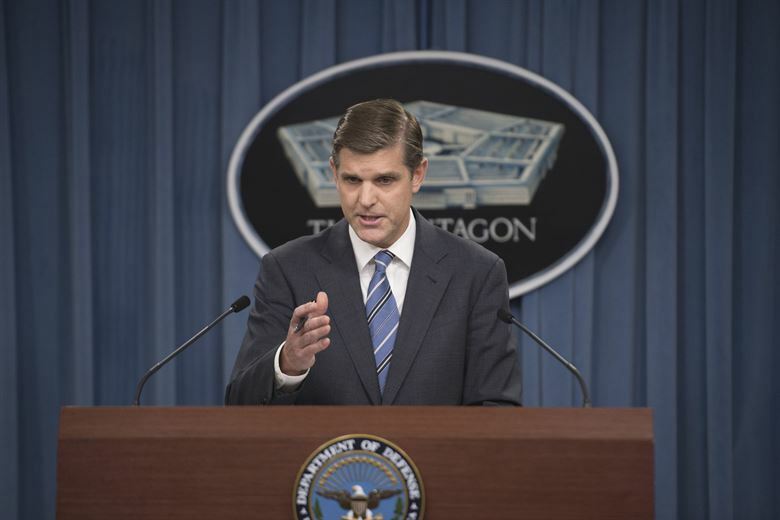 “While not the first U.S. strike against terrorists in Libya, this was the first U.S. strike against an ISIL leader in Libya and it demonstrates we will go after ISIL leaders wherever they operate,” Cook said in the statement. Abdirahman Sandhere, also known as “Ukash,” a senior leader in the al-Qaeda offshoot group al-Shabaab also is confirmed dead from U.S. military airstrikes in Somalia, Dec. 2, Cook said. Two other al Shabaab-affiliated associates also were killed in the strike that specifically targeted Abdirahman Sandhere, he said. The death of Abdirahman Sandhere is an important step forward in the fight against the al-Shabaab organization, Cook emphasized. “The United States will continue to use the tools at [its] disposal -- financial, diplomatic, intelligence and military -- to dismantle al Shabaab and other terrorist groups who threaten United States, [its] interests and persons,” he said. Cook said the United States will continue to support its international partners, particularly the African Union Mission in Somalia, which is working to support the government of the Federal Republic of Somalia to build a secure and stable future for the Somali people. This morning, Pentagon Press Operations Director Navy Capt. Jeff Davis told reporters the airstrikes this weekend in Syria’s Darazor province that hit a Syrian army position did not result from U.S. operations. “We did conduct four strikes in Darazor yesterday,” he said, and added the U.S. strikes were all against oil-well heads. These strikes, Davis added, were about 55 kilometers away from the strike where the Syrian army was reported to be. The U.S. airstrikes did not hit vehicles nor personnel, Davis said. “We have no reason to indicate any Syrian soldiers were anywhere near the area where we struck,” Davis emphasized. “We maintain exacting procedures and strict protocols to be precise in our strikes, and we take significant steps during targeting processes to prevent collateral damage,” he said. I wonder why the government feels the need to publicize it apparent successes. I also wonder about the disinformation games being played. A lot of what the government says reminds me too much of George Orwell's 1984; the government was always "correcting" the "facts" for public consumption.